How to fix Safari cannot be opened because of a problem Check with the developer? 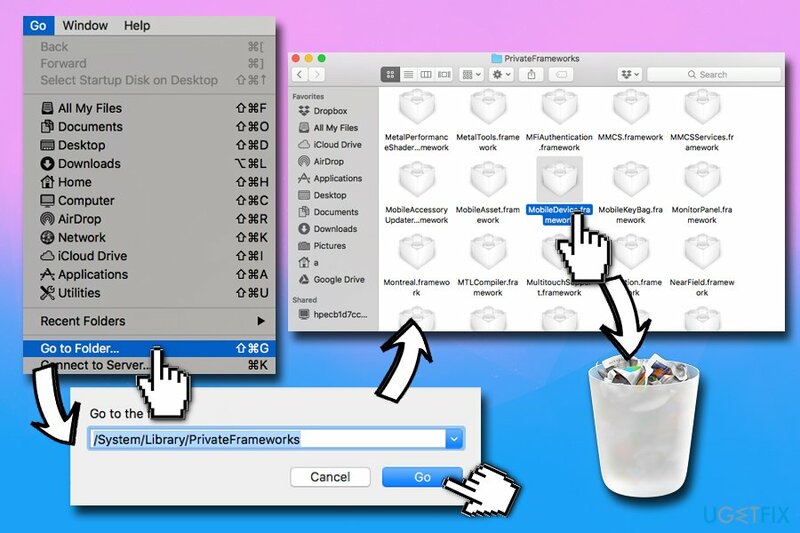 Home »	Fix » How to fix Safari cannot be opened because of a problem Check with the developer? Issue: How to fix Safari cannot be opened because of a problem Check with the developer? Hello. I ran into a problem that is really annoying to me – I cannot open Safari browser anymore. The error states that Safari cannot open because of a problem and I should check with the developer. I am devastated as Safari is my preferred browser which I have been using for over a decade, and did not have any problems with. Is there any way to fix this problem? At the moment I switched to Google Chrome, but I would want to go back to Safari ASAP. Could you please help? Safari is the second most used browsers globally, following Google Chrome with 13.9% of market share as of November 2018. 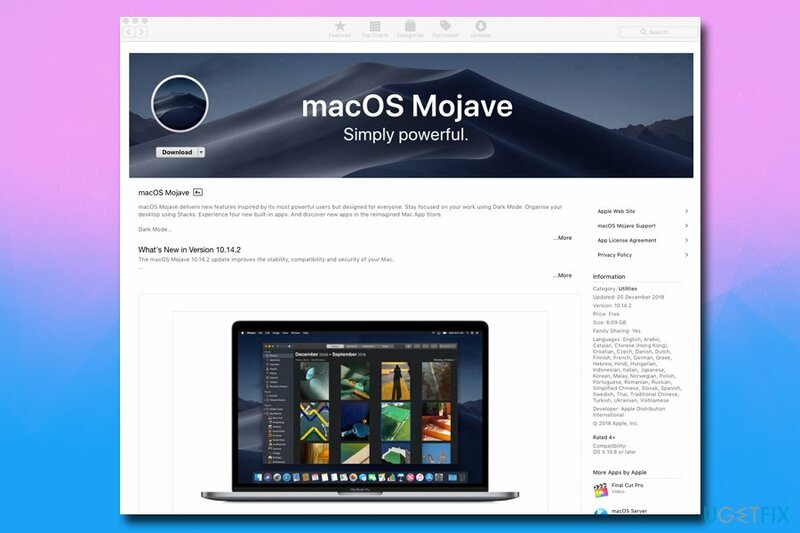 Indeed, many macOS and Mac OS X users prefer this browser because it was designed by Apple and works well with the operating system. Unfortunately, the browser is not immune to problems, and “Safari cannot be opened because of a problem. Check with the developer” error is one of them. While some users might be blaming the web browser itself, or even consider malware infection, it not Safari to blame here. The culprit is iTunes or, more specifically, Apple itself here. Nevertheless, our team came up with a few solutions that could help you fix “Safari cannot be opened because of a problem. Check with the developer” error. Most recently, Apple released iTunes 12.8.1 for Yosemite up to High Sierra. The patch was minor and allowed iTunes support the AirPlay 2 multi-room audio and HomePod stereo pairs. For Windows, it included minor performance improvements. Who would have thought that such a minor update could entirely break the web browser Safari? But that's precisely what happened. Those running OS X Yosemite 10.10.5 should not update iTunes just yet, as it results in “Safari cannot be opened because of a problem. Check with the developer” error. The complains were published on Apple forums, Twitter, Reddit, and other social network platforms. Check with the developer to make sure Safari works with this version of Mac OS X. You may have to reinstall the application. Be sure to sure to install any available updates for the application and Mac OS X. While Apple still did not release the update that would fix “Safari cannot be opened because of a problem. Check with the developer,” there are a few workarounds that could help you. Please follow the detailed guide below. Before you start with the fixes below, we recommend you perform regular checks, such as scanning your machine for malware infections. We suggest you download Reimage and perform a full scan of your device. Additionally, if there is something wrong with the computer, the PC repair software might be able to fix it automatically. 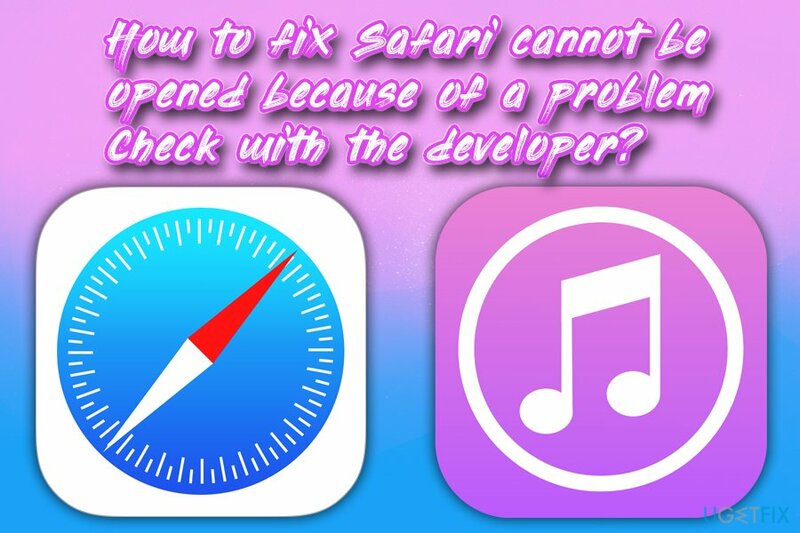 While it is not a solution for Safari users, it is a temporary workaround until Apple releases the update that will fully fix “Safari cannot be opened because of a problem. Check with the developer” error. You can try using Google Chrome, Mozilla Firefox, Opera, or any other secure and legitimate browser. ^ Browser & Platform Market Share. W3 Counter. Global Web Stats. ^ Safari cannot be opened because of a problem.. Apple. Discussions. ^ What is malware and how can we prevent it?. Norton. Security blog.